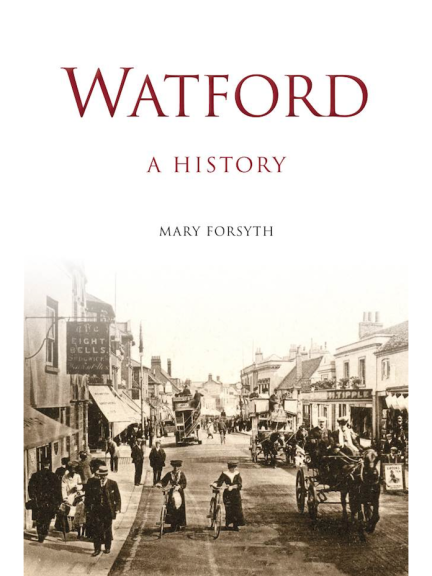 Drawing on 30 years of research, local historian, founder member and former Chair of the Friends of Watford Museum, Mary Forsyth, has written a comprehensive history of our town. Watford - A History may be a single, accessible and easy-to-read volume, but it covers the complete history of how a small settlement slowly became a major UK town. From the earliest Medieval times to the 1970s, the volume explores the changing face of Watford, the local people who influenced its transformation and the national events that shaped Watford, its businesses and residents. Published by The History Press, Watford - A History also includes selected images from the collection of the Watford Museum. So if you've ever been interested in Watford's past, we thoroughly recommend Watford - A History. The ebook is available via The History Press; alternatively you can buy the book at The Watford Museum for £14.99. Watford Museum is open from Thursday to Saturday; full details and contact information can be found by clicking here.